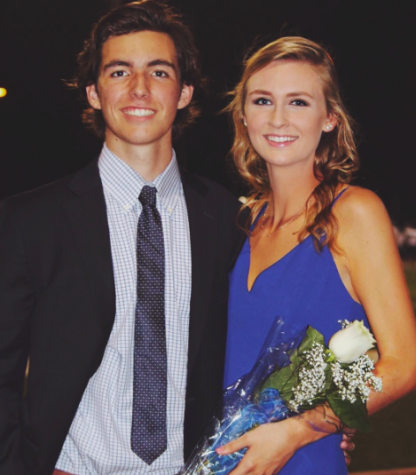 Each year the homecoming court is announced at half time during the Jesuit football game. This past weekend on Oct. 14, Jesuit High School hosted their 2017 Homecoming Dance. A weekend full of beautiful dresses, makeup appointments, boutonnieres, pictures and more. 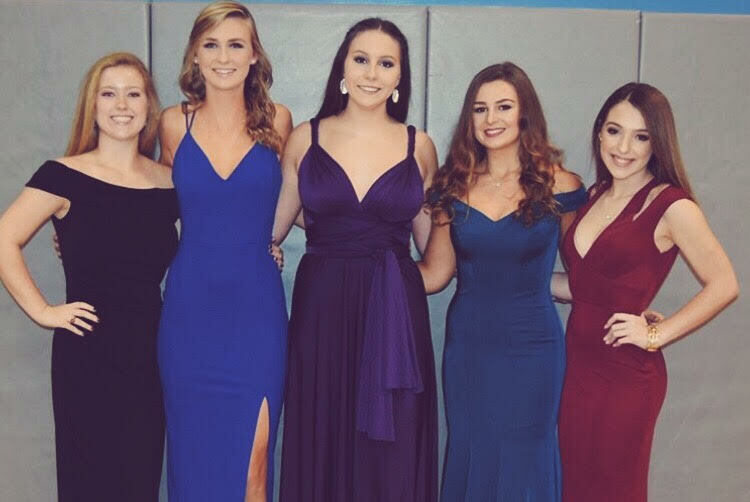 This year’s homecoming court included seniors: Gretchen Swenson, Feraby Hoffman, McKenna Weathers, Isabella Sebek, and announced as Queen was Sophia Doussan. Jesuit seniors escorted the court to the dance floor for the traditional waltz. 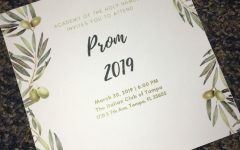 This year’s escorts included seniors Gunther Mosesmann, Bradley Haines, James Bencivenga, Carter Collins and Jesuit Class President, Tyler Peterson. 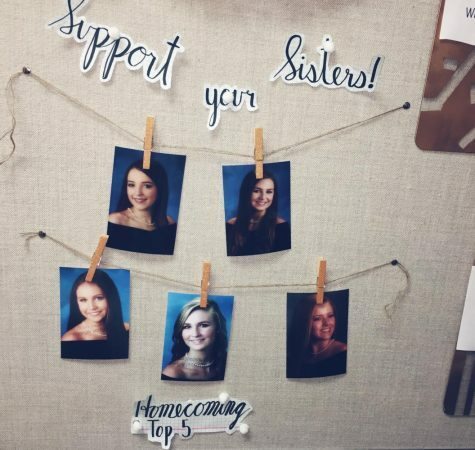 The girls’ photos hung on the hospitality board outside Mrs.Krukar’s office. On Tuesday, Oct. 10, 2017, the members of Homecoming Court were announced at Jesuit and the photos and resumes were posted. That night, the Court, along with the Jesuit escorts met for mandatory lessons to prepare for the waltz. 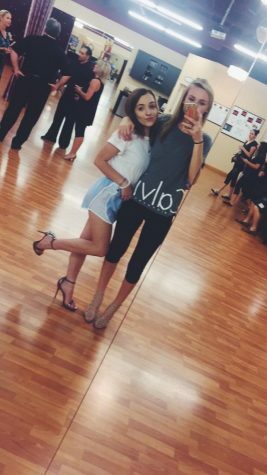 Mckenna Weathers and Sophia Doussan were both able to do the waltz with their boyfriends. 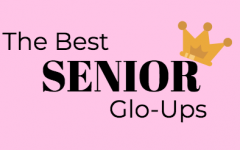 On Thursday, Oct. 12, 2017, the Jesuit Seniors voted for Homecoming Queen in homeroom. Later that day, Jesuit hosted the Homecoming Pep Rally, where the court was formally recognized for the first time. 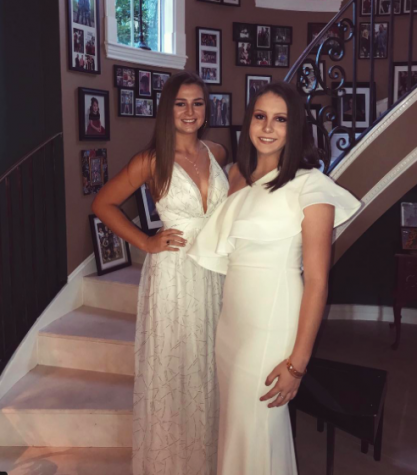 The girls each wore a dress of their choice on Friday night at the football game and had to wear white dresses for the homecoming dance on Saturday. On Friday Oct. 13, 2017, the Jesuit Football Team celebrated the week with a 13 -10 win over the Robinson Knights. Gretchen Swenson and Feraby Hoffman both multi-tasked as girls on the court and as senior cheer captains. 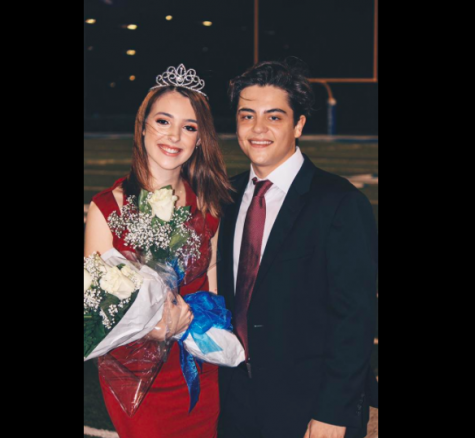 During half time, the Homecoming Court walked on the field and Sophia Doussan was announced as Jesuit’s 2017 homecoming queen. The girls on court do not find out who is going to win Queen until it is announced on the field. After the game and all the excitement of the night, The Jesuit boys and AHN girls were ready to celebrate at the annual Homecoming Dance.